Over the last year I've tested a couple of quality MM cartridges and thoroughly enjoyed myself in the process. During the testing I received the GSP Accession MM stage and having run it with both MMs and an MC via a step up it's only fair that it receives it's own write up! Experience testing some quality MMs has shown me that they can provide excellent performance and whilst they will quite happily talk to the 5 pound (I'm not kidding here!) op amp based phono stage in an integrated amp, a dedicated stage will really show you what they're capable of. 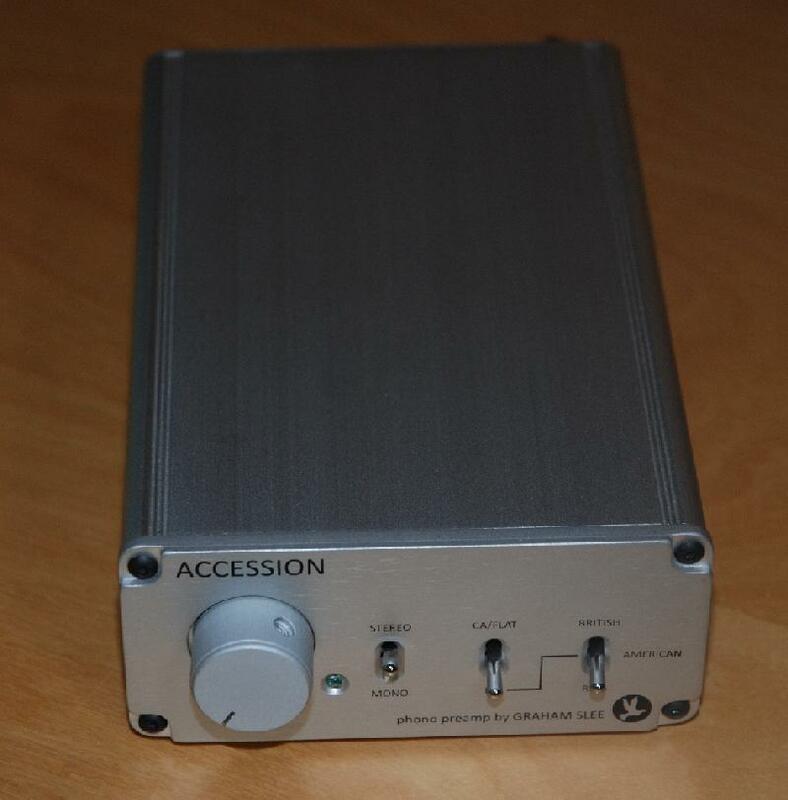 The Accession is housed in a Standard GSP Audio case - it's not flash or shiny but exudes a purposeful look indicating that the money has been spend "under the hood". I ran the Accession in a variety of configurations with my usual Linn Axis/AO Linn Akito/LV Mystic Mat. Amplification was from my Canary Audio CA608 LV and speakers were the PureAudio Project Trio15s (both TB and Voxativ versions). On the MM front I tried both the Ortofon 2M Black and the Audio Note IQ3. The arrival of the Clinamen Audio MC Step Up allowed me to also try my personal Reson Etile MC. In both cases my personal CEC PH53 stage which accepts MMs and MCs was on hand for comparison. First impressions are of a large frequency spectrum - the GSP goes lower in the bass and probably extends a bit higher than my CEC which is already pretty good from top to toe. There's a lot of fine detail to although the firm bass response prevents this from becoming in your face detail and just adds to the instruments and voices. Differences in cartridges are very obvious - the 2M Black has a smoothness to it wheras the IQ3 just seems to impart none of it's own character onto the music and shows up the differences in recordings and artists. The Reson Etile plus the Clinamen Step up is equally musical and even mre refined and this combination produced the best performance I've ever had from this turntable/arm combo. Compared to the CEC I would say that the Accession is less exciting but no less pleasant to listen to. It certainly seems to "do no harm" to the signal and add the strict minimum of its own character. I've always been a fan of Paul Simon's Graceland album and over the years my favourite track has become "Under African skies" with Miriam Makeba duetting with Paul Simon. The GSP clearly placed Paul Simon left of centre with Miriam Makeba on the right. What sticks in my mind without even referring to listening notes is the wonderful portrayal of the tone of her voice and the exquisite quality of the vocal harmonies. The GSP presents both these gorgeously. The same was true of that old 1990s hifi show favourite "Diamonds on the soles of her shoes" with Ladysmith Black Mambazo with amazing vocal clarity through the introduction showing just how taleted this vocal group is. Low level ambience is suddenly there allowing you to hear further into the mix and making everything sound more human sounding and real as a result. Moving onto more complex mixes I spun U2s Zoo Station. This is always a record that I felt lacked clarity and dynamics with some fairly muddy bass. I'm not saying the GSP made it sound like a modern Pro Tools recording (thank goodness) but it did firm up the bass and clearly show the effects settings that the Edge uses. There are a lot less guitar effects on Miss Sarajevo from the Passenger Soundtracks album but there are some wonderful warm organic synth loops and to cap the lot the unmistakeable and much missed Luciano Pavarotti. Now I'll be honest with you and I admit that this track normally brings tears to my eyes during the Pavarotti verse. The GSP got things spot on on the emotional side of things and I was close to blubbing way before Pavarotti even started. The detailling I've mentioned above doesn't stop the music affecting you emotionally and there is no "mechanical" nature to the music in any way. 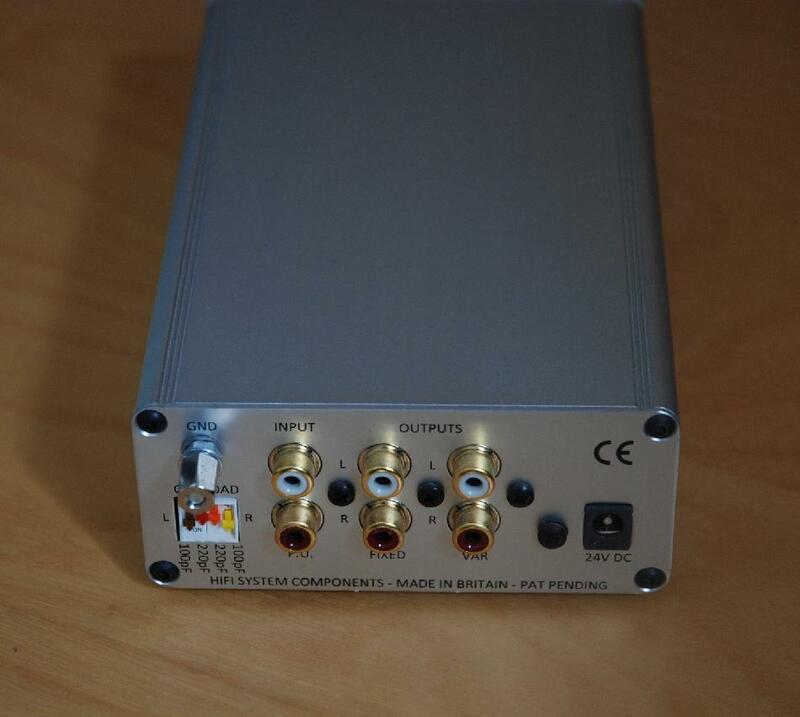 So where does the GSP sit in the market for 1000ish GBP phono stages? 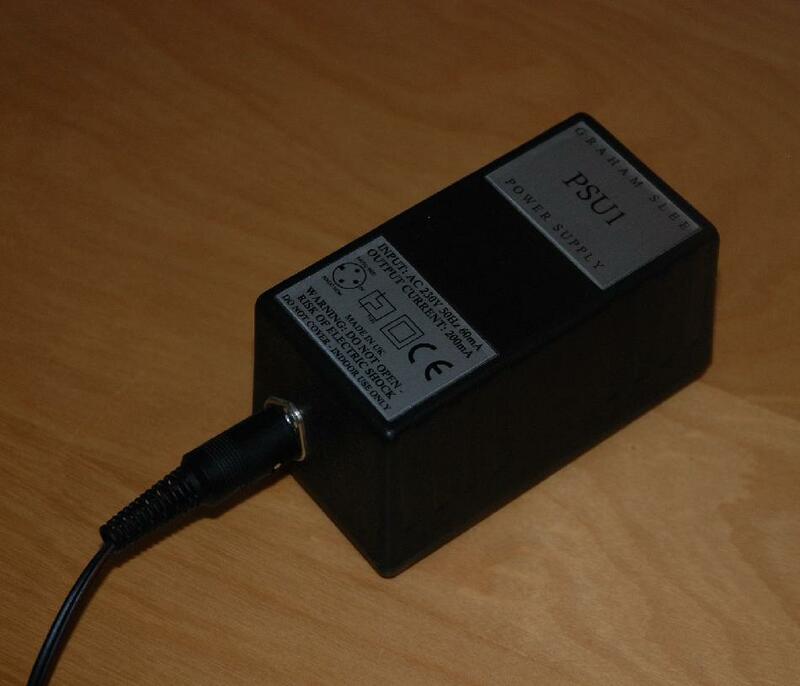 My personal CEC PH53 costs around 750GBP and never fails to bring a smile to my face. The GSP is calmer sounding but is better detailed and extended in the frequency extremes. As I mentioned above it is more than capable of transmitting the emotion in a piece of music. Of the cartridges I tried I very much liked the GSP/Audio Note IQ3 combo and I think at at total of just over 1500GBP you may be hard pushed to better it. Add a step up or head amp (GSP do one called the Elevator which should match very well) and MCs become possible opening the playing window up even further. Even without the extra feautures I would say the quality is spot on for the money and I certainly wouldn't feel short changed. Where the GSP scores a six straight over Mid On (it's a cricket reference for those of you who were never colonised by the British empire) is the additional possibilities it offers at the price point. The alternative EQ curves can be a real bonus for classical collectors who have records that may have been cut with other EQ curves than the standard RIAA most of us are used to. The ability to remove the EQ completely and add it later in the digital domain should put the Accession high on the shopping list of anyone who takes their archiving seriously and for the purist Vinyl listener the possibility to dispense with a costly preamp and go straight into the power amps leaves more money to spend on the turntable or some more records(or dare I suggest it dinner with one's other half in a nice restaurant). From an enjoyment point of view I think the best conclusion I can give is that I'm certainly not going to be phoning GSP up any time soon to remind them to pick this one up!